On the night of July 21, 356 BCE, two important events took place in the Mediterranean Basin. One created history, the other erased it. On that night, in the city of Pella, the capital of the ancient Greek kingdom of Macedonia, the wife of King Philip II gave birth to a baby boy. This child would, years later, create one of the largest empires of the ancient world rewriting the history of much of Europe, Asia and northeast Africa. He was Alexander the Great. The other event was more prosaic: an arsonist set fire to a temple. That temple, however, was no ordinary temple. It was one of the greatest temples to stand on the face of the earth—regarded for the past two thousand years by travellers and scholars as one of the seven wonders of the ancient world. 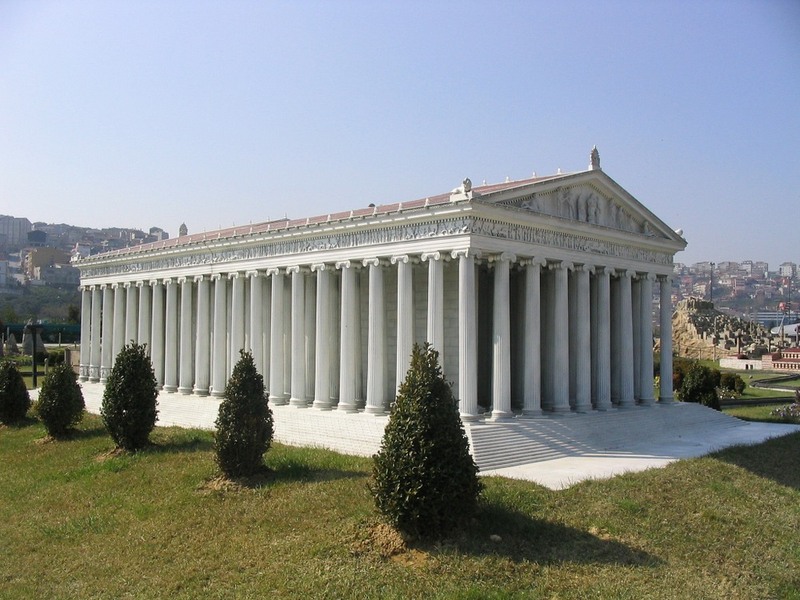 This temple, the Temple of Artemis, was located near the ancient city of Ephesus, near the now modern town of Selçuk, in Turkey. Dedicated to goddess Artemis, the temple was supposedly the first Greek temple to be built of marble. The colossal structure was more than a hundred meters long and half as wide. Its peripheral columns stood forty feet high, in double rows that formed a wide ceremonial passage around the cella that housed the goddess's cult image. These columns were carved in elaborate relief. That night, while the kingdom of Macedonia was rejoicing the birth of their new prince and future king, five hundred kilometers away across the Aegean Sea, a lowly thug named Herostratus set out to make his mark in history. He walked into the Temple of Artemis and set it on fire. The temple’s wooden interior, particularly its wooden beams, the statue of Artemis, and furnishing quickly caught the flames, and by next morning all that was left standing were thirty six blackened marble columns and a smoldering ruin. Herostratus was promptly arrested, and when he was tortured on the rack, this demented individual confessed that he burned the temple in an attempt to immortalize his name in history. The Ephesian authorities not only executed Herostratus but forbade anyone from mentioning his name, thereby condemning him to eternal obscurity—the very opposite of what Herostratus desired. Many historians such as Cicero and Plutarch continued to honor the decree, suppressing the mention of the arsonist’s name, but some early writers had already violated the order. One notable violation was made by Theopompus (380 BC – 315 BC), who mentions Herostratus in his biography of King Philip II, Philippica. The first extant work to mention Herostratus is Geographica by the Greek geographer and historian Strabo (64 BC – 24 AD). The first-century Roman historian Valerius Maximus mentions Herostratus again by name. His essay titled “Of Appetite For Glory” cites Herostratus case as an example of the pursuit of negative fame through a criminal act. Here is appetite for glory involving sacrilege. 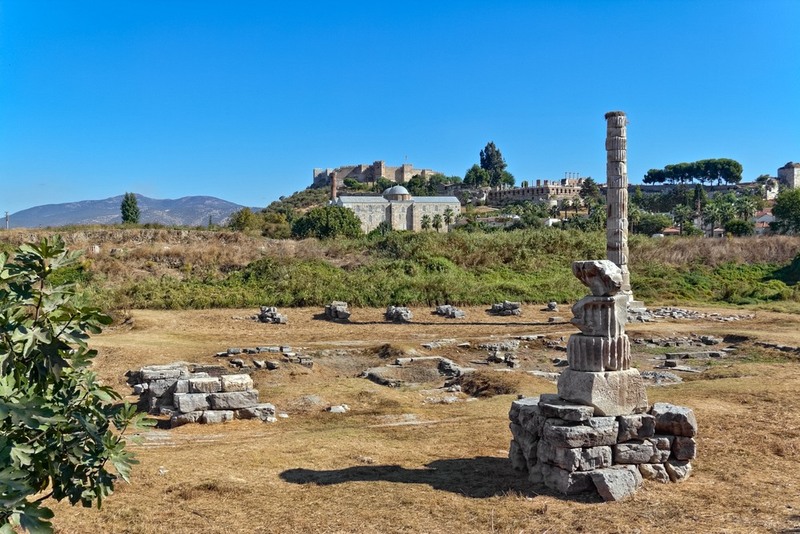 A man was found to plan the burning of the temple of Ephesian Diana so that through the destruction of this most beautiful building his name might be spread through the whole world. This madness he unveiled when put upon the rack. Indeed, Herostratus’ name continues to appear in history books throughout the centuries. The 17th-century English author Thomas Browne noted with much amusement that the arsonist had even outlived the names of those who tried him and those who attempted to banish him to obscurity. The new temple was a behemoth—137 meters long, 69 meters wide, and 18 meters tall with more than 127 columns. This temple stood for six hundred years before it was destroyed by the Goths, an East Germanic tribe, in the 3rd century. Stones of the collapsed temple were carried off and used in construction of other buildings. Some of the columns in Hagia Sophia, and several statues and other decorative elements throughout Constantinople originally belonged to the temple of Artemis. The ruins of the Temple of Artemis today.